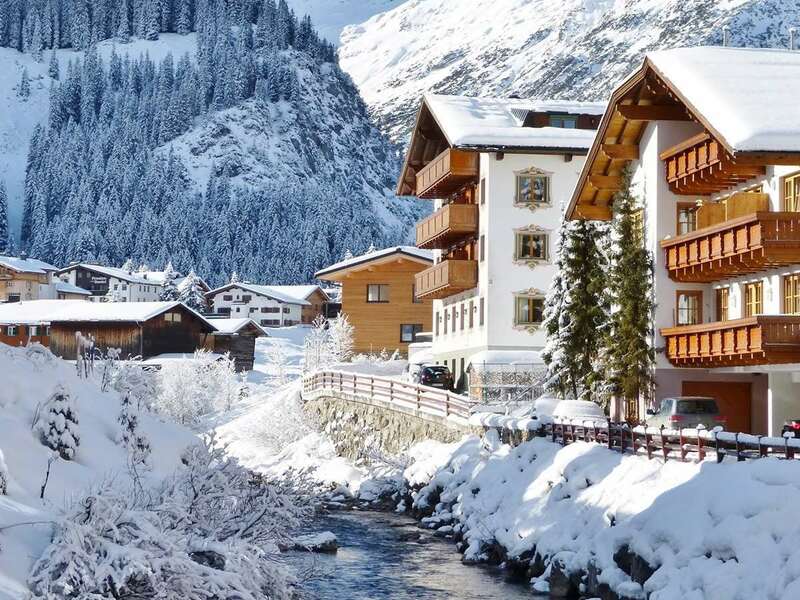 One of the most exclusive ski holiday resorts in Austria, Zurs is located in the heart of the Arlberg and offers an attractive village and fantastic skiing in a vast skiing area. Quite rightly described locally as a ‘diamond in the snow’, the prestigious resort of Zürs is one of the most exclusive villages in the Alps. Nestling high up on the sunny side of the Flexen Pass summit, Zürs enjoys an idyllic location, in the Arlberg ski region, close to Lech & St Anton. Zürs is renowned for its great snow record and dramatic scenery. The resort offers the highest quality of hotels which is enjoyed by highly profiled visitors and royalty from around the world who seek a discreet, first-class service. With well-prepared slopes, covered with countless square metres to traverse, the resort is ideally placed with convenient lifts right on the doorstep. Zürs is widely known as the Mecca of Alpine powder snow skiing and is home to one of the most celebrated and best ski schools in the world. The Zürs ski school offers personal attention with private instructors or group tuition, from beginners' courses to heliskiing. And children are looked after well during skiing lessons or in the "Little Zürs" nursery. • Good ski lift system – the resort restricts the amount of people on the mountain at one time to avoid congestion. 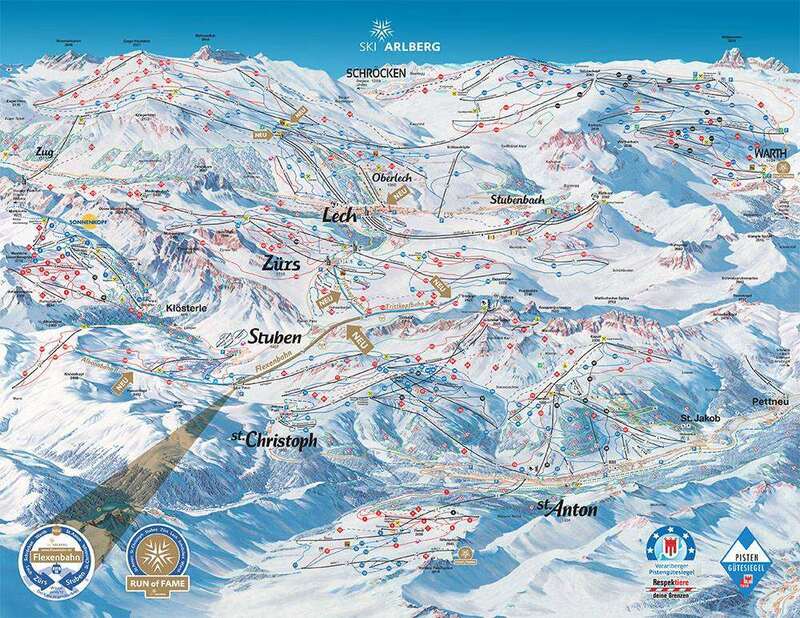 • Resort altitude at 1700m – ensures reliable snow to the resort. • Skiing best suited to intermediates, whilst off-piste skiing caters for the advanced skier. Après ski in the village is fun with many chic, fashionable bars and select lunchtime restaurants plus mountain huts, many of which offer award-winning cuisine. The village shuttle bus service operates between Zürs and Lech and is FREE (until 7.00 pm daily); snowboarding; helicopter skiing; paragliding; squash; small, exclusive range of boutiques, sportshops; cafes, bars, restaurants; bank; selection of nightlife in the exclusive hotels; walking trails on the Flexenpass. • Exclusive resort, even more exclusive than the resort of Lech. Zurich is the nearest airport to resort around 194 km away. Tourists can drive to resort within two and a half hours or catch the local ski train which takes around three to four hours.